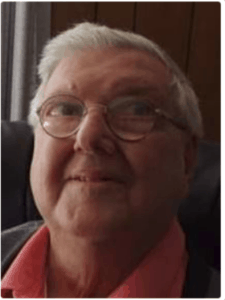 Grafton – Eldred C. Phillips Jr., 87, passed away peacefully Jan. 26, 2019 with his loving family surrounding him. His wife, Thelma (Stott), passed away in 2008. Eldred his survived by his children, Lori Wilson, Bruce Phillips (Jo-Anne), Robin Cancelli, Bambi Lavoie (Michael), Tammie Boulanger (Michael), Scott Phillips (Virginia), Daren Phillips, Justin Phillips (Jennifer), and his son-in-law, James Ross. He also leaves 21 grandchildren and 27 great-grandchildren. He was predeceased by his daughter, Kimberlee Ross, and son-in-law, John Wilson. Eldred was born March 20, 1931 in Uxbridge, son of the late Dora (Braningan) and Eldred C. Phillips Sr. His roots were in Uxbridge, but he was a resident of Grafton for more than 50 years. He worked in the furniture and flooring business at Eddie’s Carpet in Worcester. Away from work Eldred was a dedicated citizen in Grafton, having served on building committees for Grafton High School and South Grafton Elementary School, on the Grafton Housing Authority, was the Register of Voters for the town of Grafton, and helped to establish Grafton Housing Associates and was its President for 40 years. He also was a faithful member of the Union Congregational Church in South Grafton. In lieu of traditional remembrances, please honor Eldred with a donation to The National Marfan Foundation at www.Marfan.org. All are welcome to gather with his family and friends Thursday, Jan. 31, from 4-7 p.m., at Roney Funeral Home, 152 Worcester St., North Grafton. A prayer service will be offered for Eldred Friday, Feb. 1, at 11 a.m., in the funeral home. He will then be laid to rest at Fairview Cemetery in South Grafton. 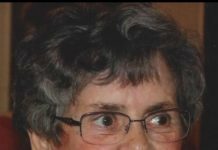 A Book of Memories to share a favorite story or message of sympathy is available online at www.RoneyFuneralHome.com.